Thanks both for the mod information, I’ll look into it this afternoon when I get home from work! That’s nice she’s a genie! 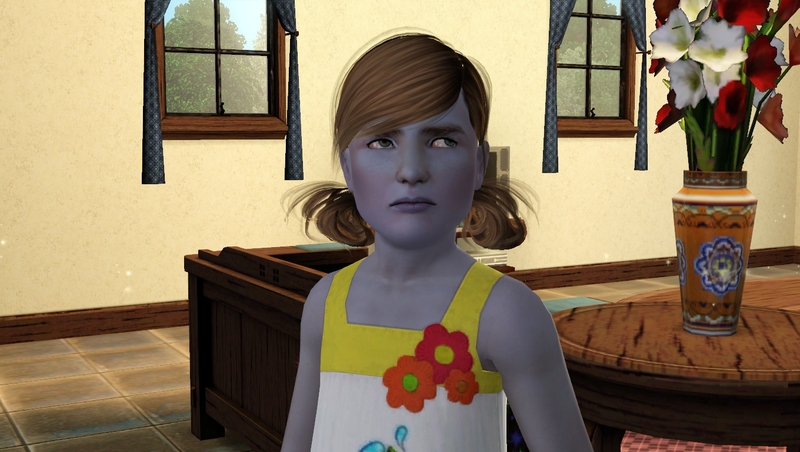 Would you believe I played a family once, a genie and a human, who got 5 kids and they all were humans Ended up turning the last one into a genie through CAS, ugh. I love the genie/IF combination. @Mikezumi Yes, Carlson's hair came from his IF mother. The ensorcel power is interesting. 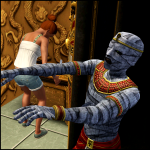 One thing I learned though is that the ensorceled sim might not be able to go back to their former life after the spell wears off. Make sure they don't have minors or pets dependent on them. 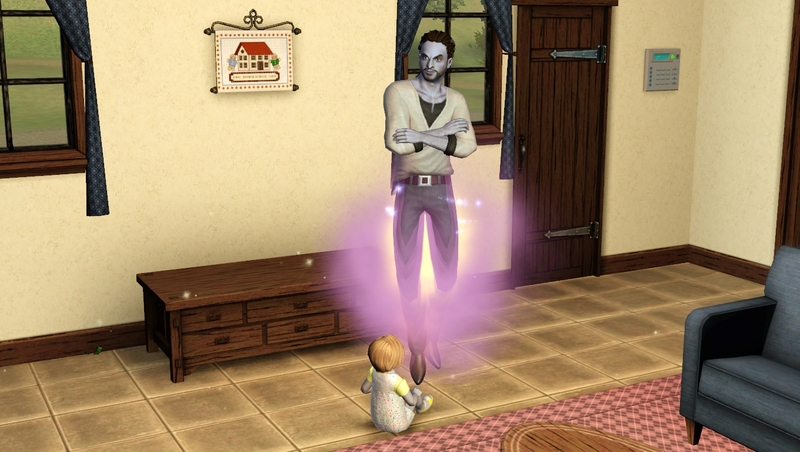 Not clear on this, but I do remember that with my first genie I had to fix a broken home after ensorceling a single mother. 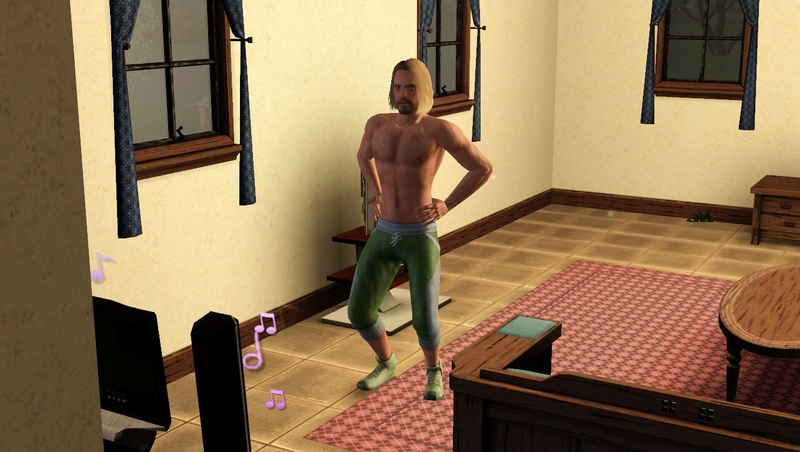 When you use the ensorcel power it’s the sims that live on their own you have to be careful with. I never close the game before I’m certain they returned to their original home. If they haven’t and you didn’t close yet, you can still find them in the relationship panel (invite them over). Then you can add hem to your household and move them back into their house that way. 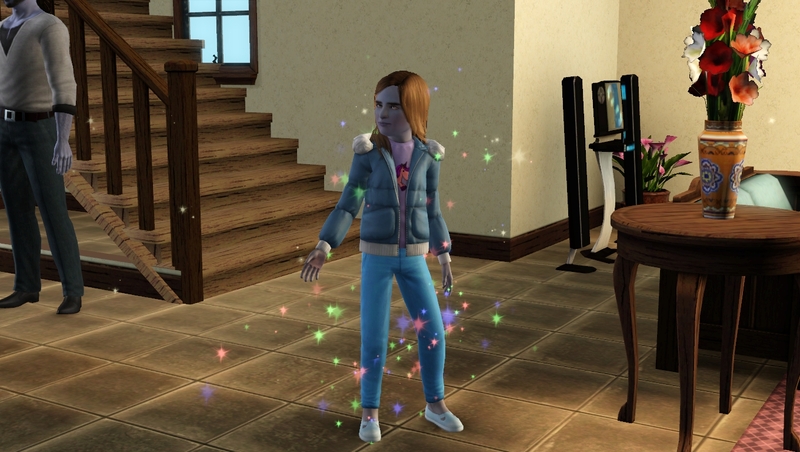 Must say, apart from this problem (really annoying because it can make sims disappear, but as long as it’s sims that share households with others I’ve never had the issue), I’ve always found the genies to be heavenly bugless. @JoAnne65 Thanks for that info. 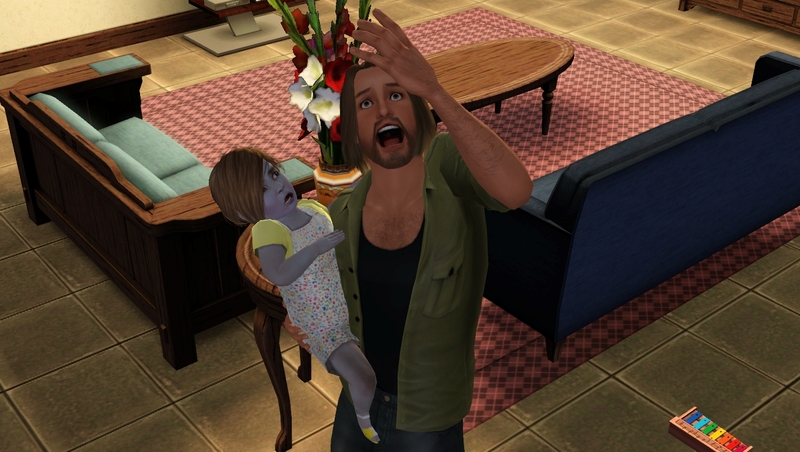 I don't want sims to vanish even in Monte Vista where I am not attached to anyone other than my household. 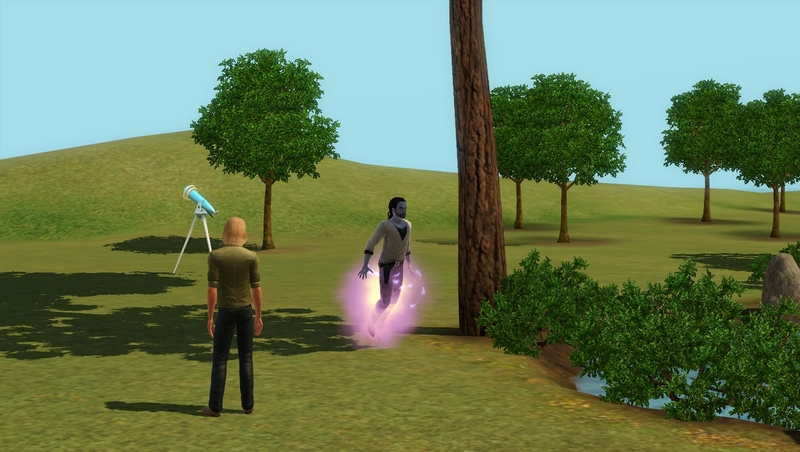 Sims that vanish, in my mind, can cause corruption although I could be wrong. I could be wrong but I don’t think kids (and maybe even teens) do the floating..... They can do all the tricks though. Josh was the only one to roll a stroller wish. 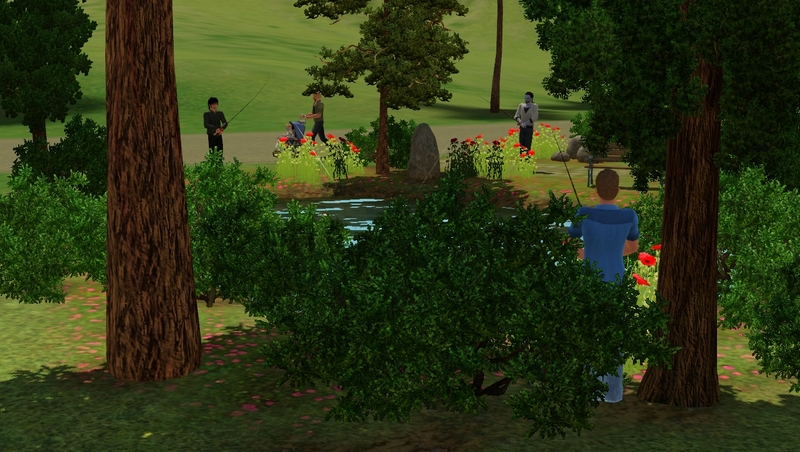 I sent Jason and Josh to a small fishing spot because Jason has a wish to catch every type of fish locked in. 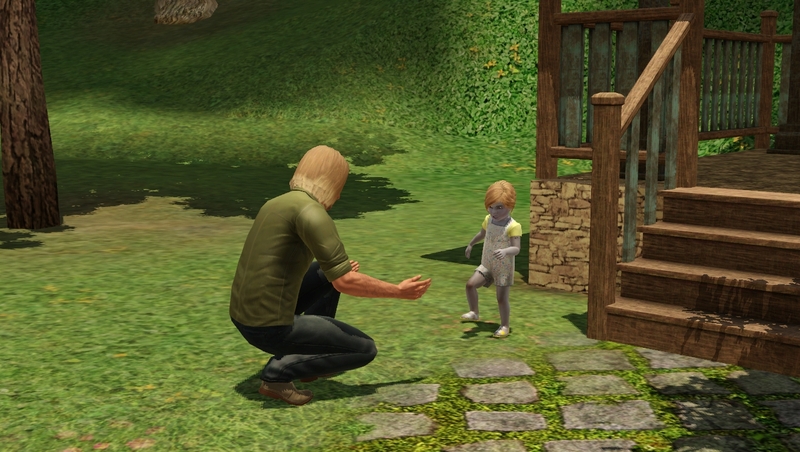 Both Jason and Josh had wishes to teach Josie how to walk. Ian rolled a wish to learn the logic skill. 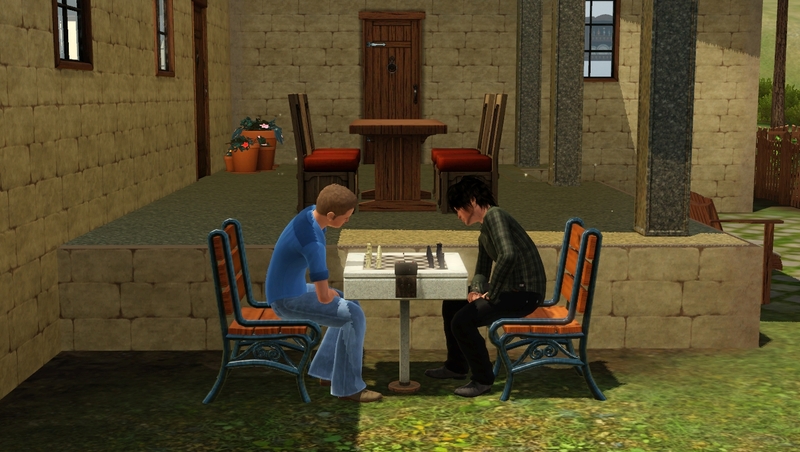 Because the boys were so busy with school and work when I first started the save, they never had the opportunity before. I sent the boys home when the spawners had been fished out and let them do what they wanted. When I saw Jason massaging Josh I quickly zoomed in for "the lip"
I saw Josie toddling down the hallway. "The lip", LOL. Yes, real charming. 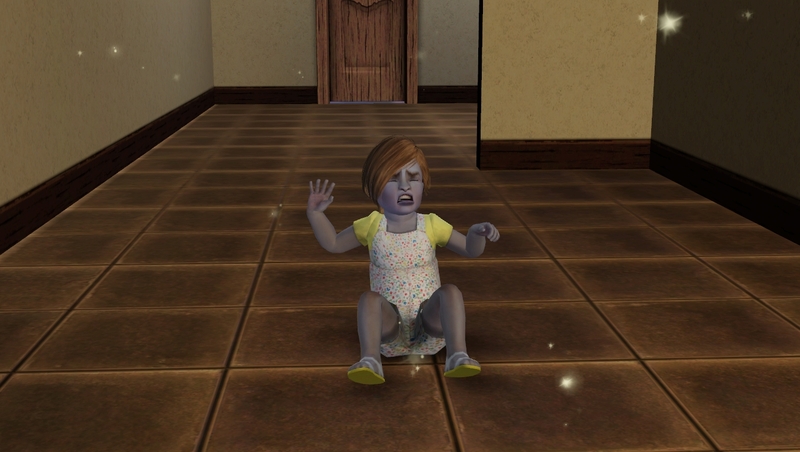 Josie's a cutie, even when she's crying. And good for her, learning she's not the center of the world and her dads not her servants haha. @Mikezumi Josie is a cute little toddler. Love the pics of her with her fathers. The stroller walks and the training. 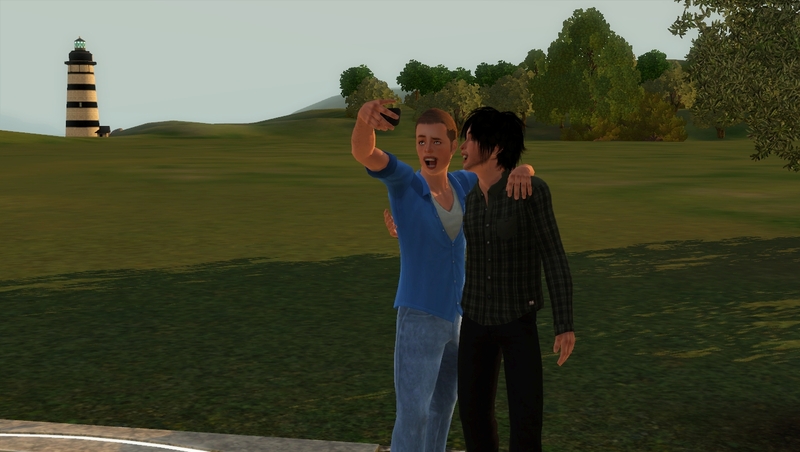 ...LOL at the townies without makeovers. My inactives don't get makeovers usually unless the sight of them finally overwhelms me! ...Fun shots of Josie on the spring rider. 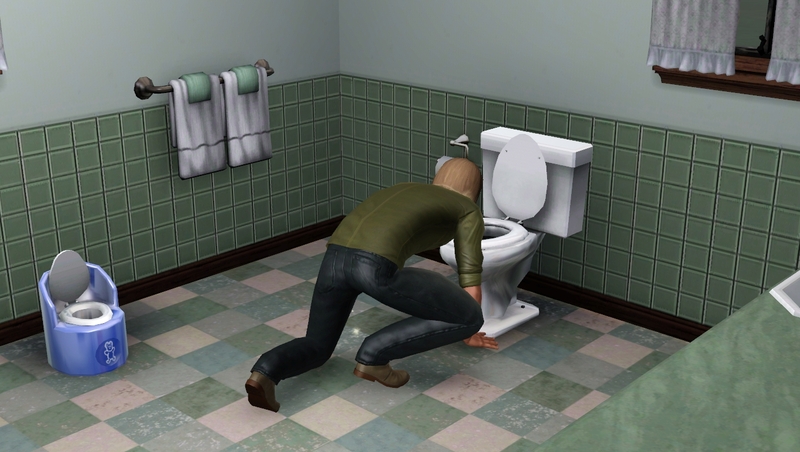 Love those animations. ...I like your blonde hair shades. 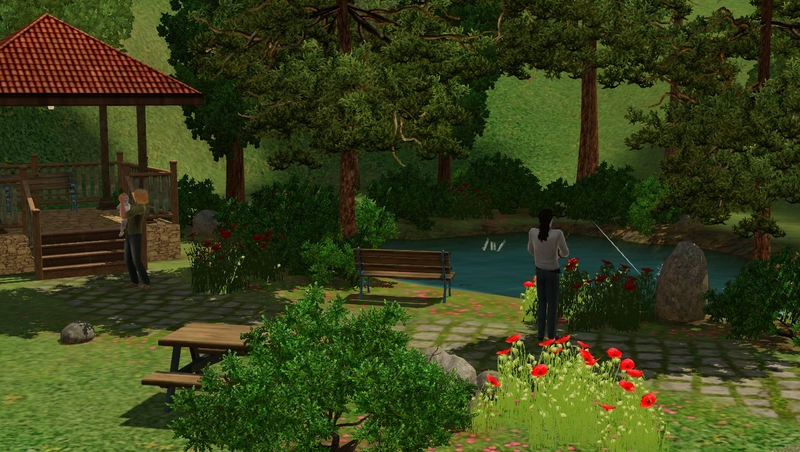 ...Pretty fishing park. ...Josie learning to walk. Darling screenshots! 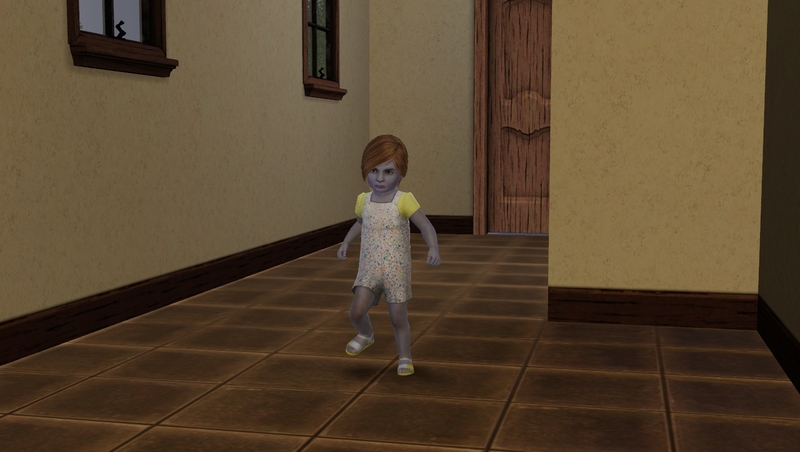 And now she's walking on her own. Poor thing fell and was left on her own. I guess her dads use the tough love approach! 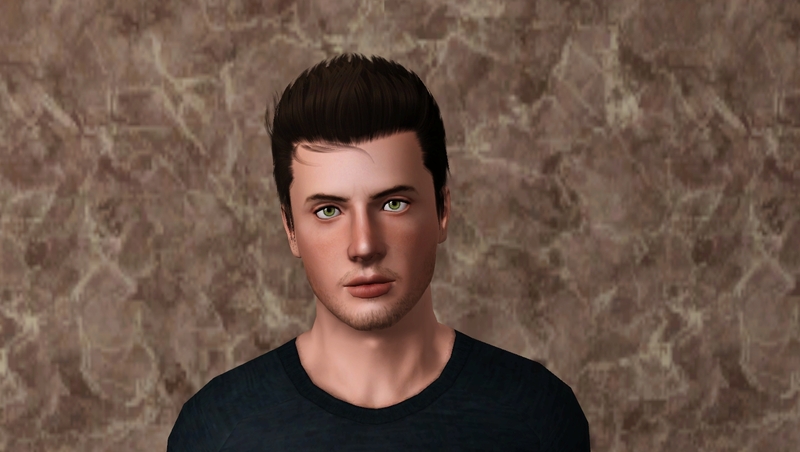 @JoAnne65 I have another male genie paired with a human. They have two sons, but neither are genies. They did inherit their genie father's hidden fire traits though. One is a Pyromaniac; the other is Immune to Fire. 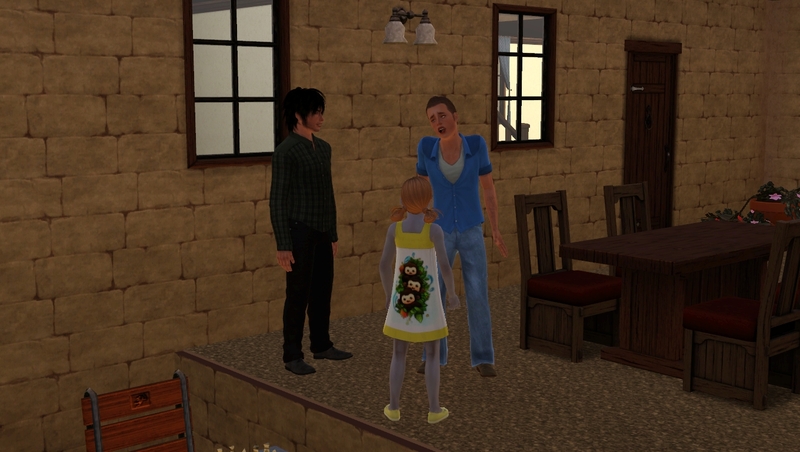 @lanlyn Thanks for the lovely comments In my usual generational saves I tend to all sims on their birthdays but that is because I feel connected to them because I was the one who populated the town with sims I like. I plan on moving the family at some point, probably to a self-populated town. 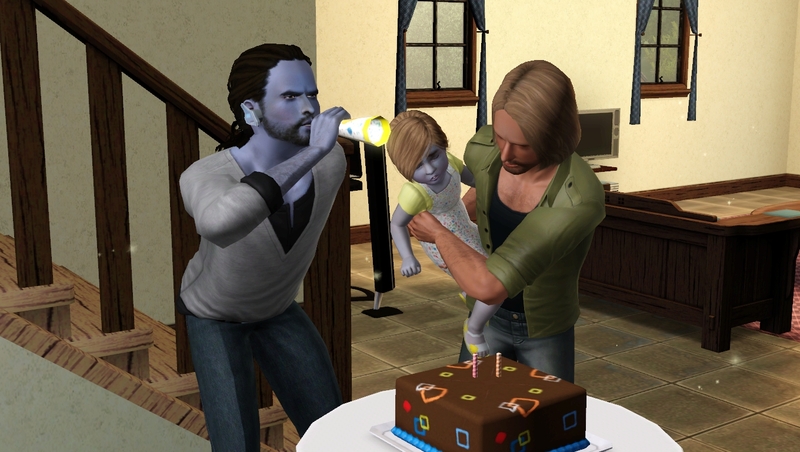 I will also shorten the lifespan (currently on Epic) so that I can see what the family looks like after a few generations. Often just ordering them to go do something (read a book, play) does the trick. Unless they’re hungry of course. Jason was the only one with a stroller wish. 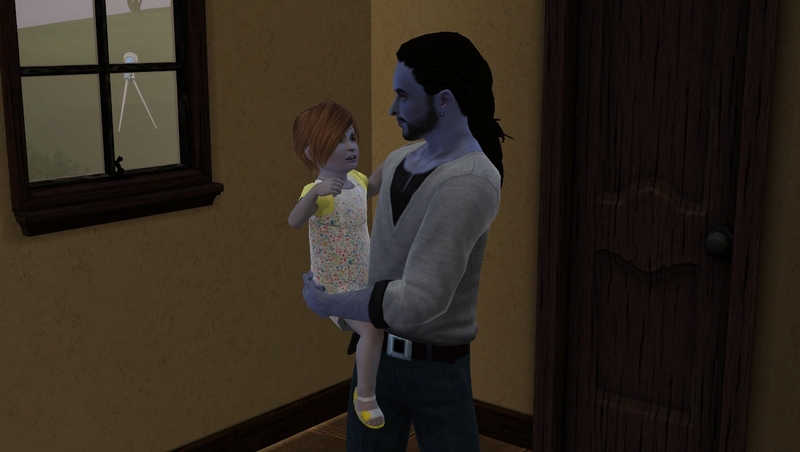 He took Josie for a stroll as the boys were running for the school bus. 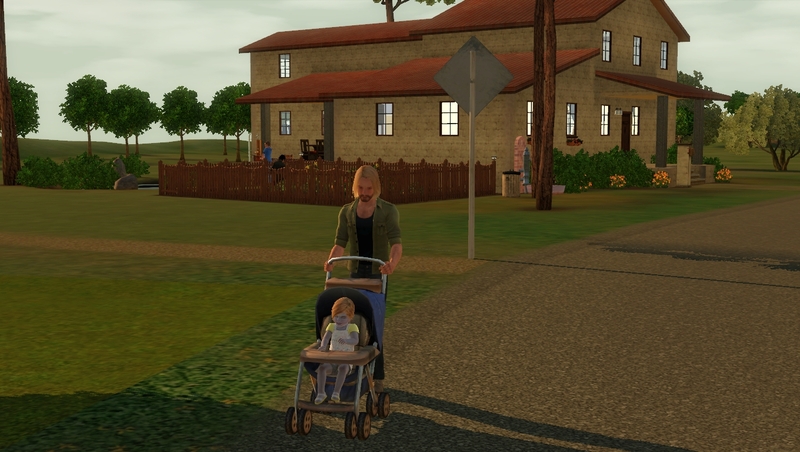 I checked on Jason and found them across the street on a path that the stroller couldn't be used on so I sent them home. 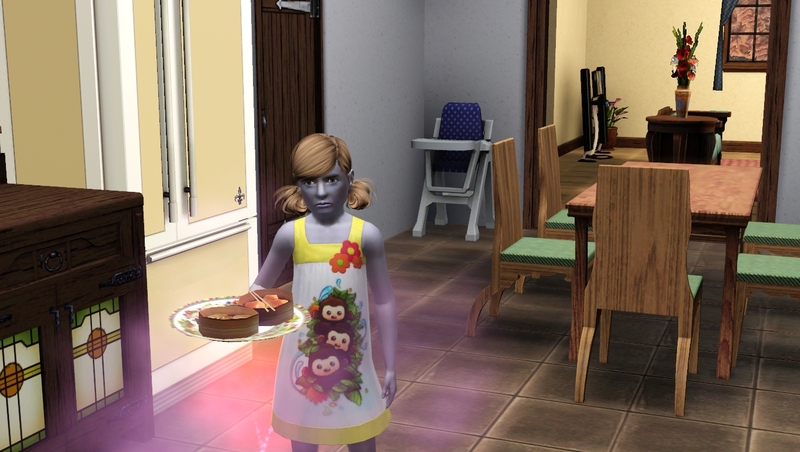 It was when they got home that I decided that Josie had been a toddler long enough. 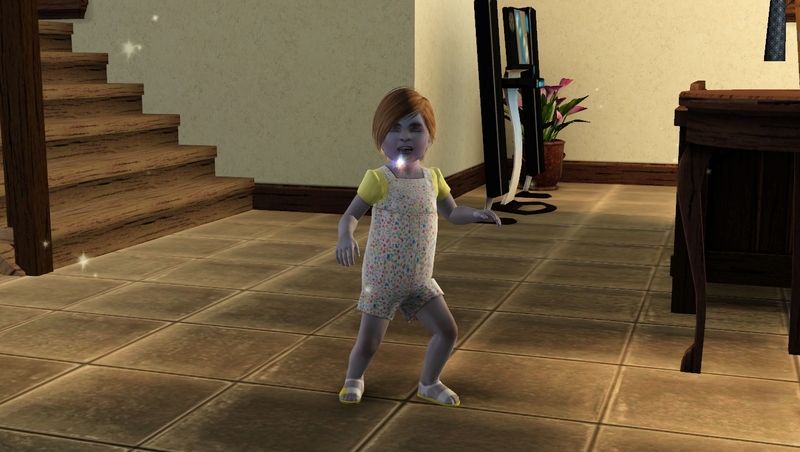 She had the main toddler skills and I want a new baby! I bought a cake and set it up in the hallway outside the kitchen. 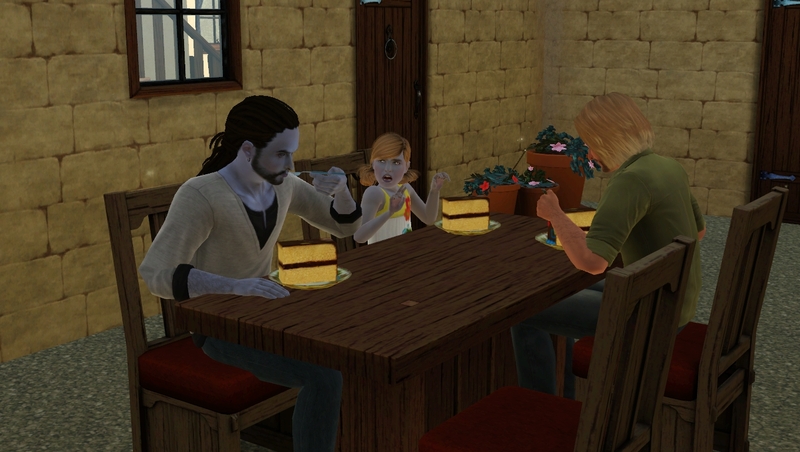 Probably because of where I had put the cake, they chose to eat outside. 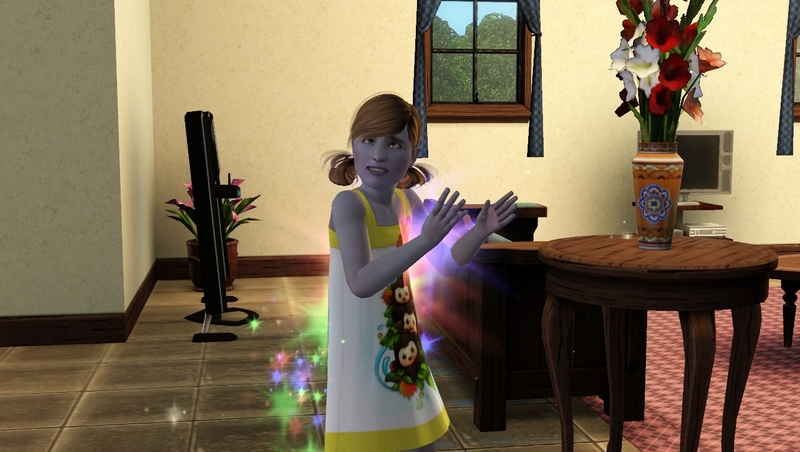 Josie's very first wish was to magically clean the house! 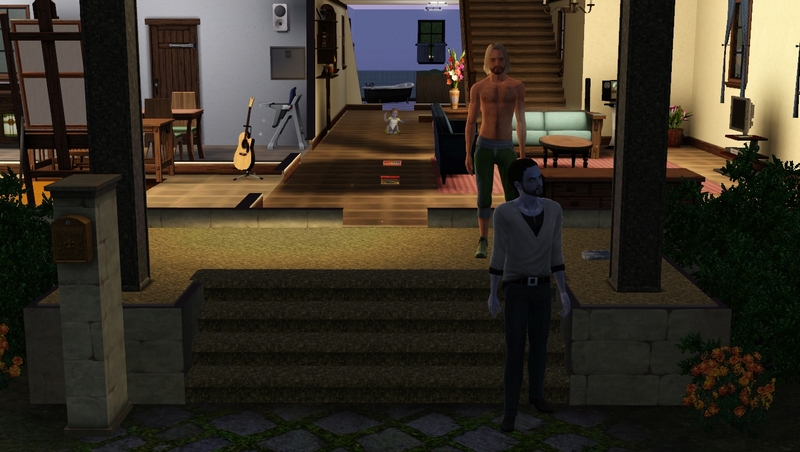 Because the boys were playing catch, I decided Jason could make better use of the time and sent him to the Coffeehouse to deliver produce for an opportunity. He is now able to grow eggs and cheese Josie finished her painting as Jason finished planting and came out for a chat Josh is in the background trying to complete a wish to catch 5 different fish. 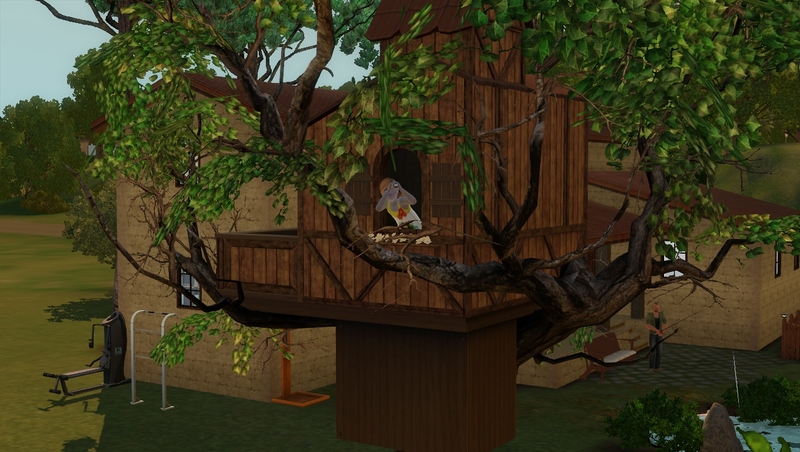 Jason rolled a wish to buy a treehouse while they were chatting. 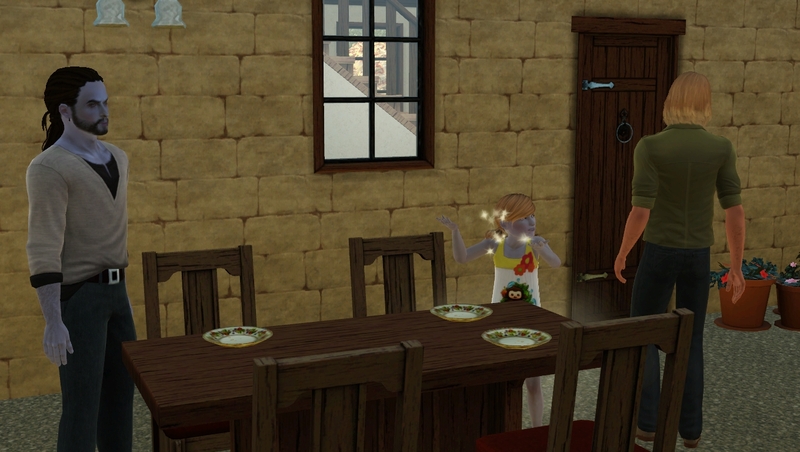 Josie immediately rolled a wish to play in it and Josh rolled a wish to woohoo in it Kids first! There were several wishes to learn the recipe but the boys have a way to go before they can make dim sum. Josie is a virtuoso and autonomously played the guitar. I was hoping she would play the violin I left in her inventory but I am all about free will. And sibling on the way I bet! @Mikezumi Happy Birthday to Josie! That's cool that she inherited Jason's eyes, skin tone, and genie powers. She's a good mix of both fathers. ...She wants to Genie clean? Giving her old man some competition, hey? 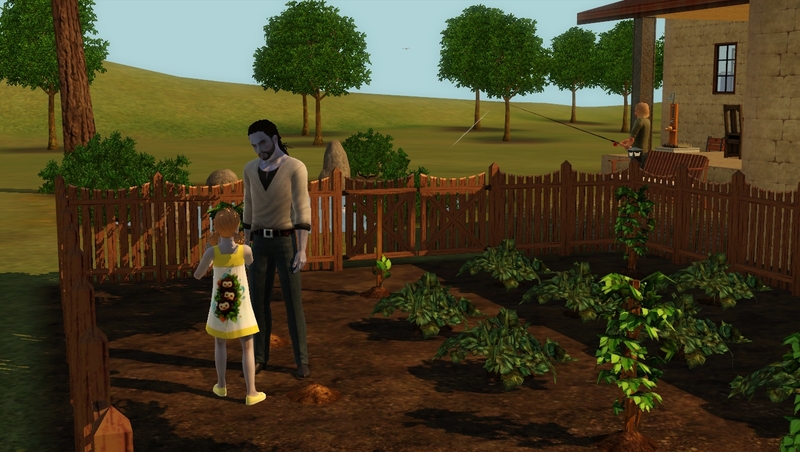 ...Jason's gardening skills must be pretty high by now. 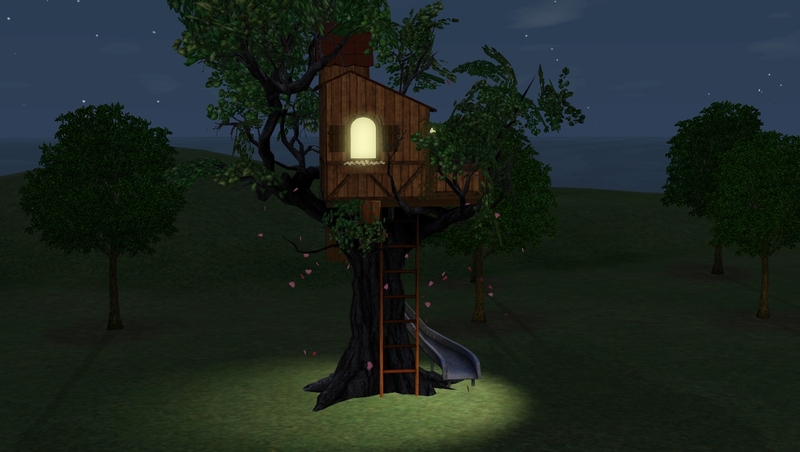 ...A new tree house. Great gift for the whole family. ...Painting and playing the guitar. A Virtuoso. And is Josie Artistic too? 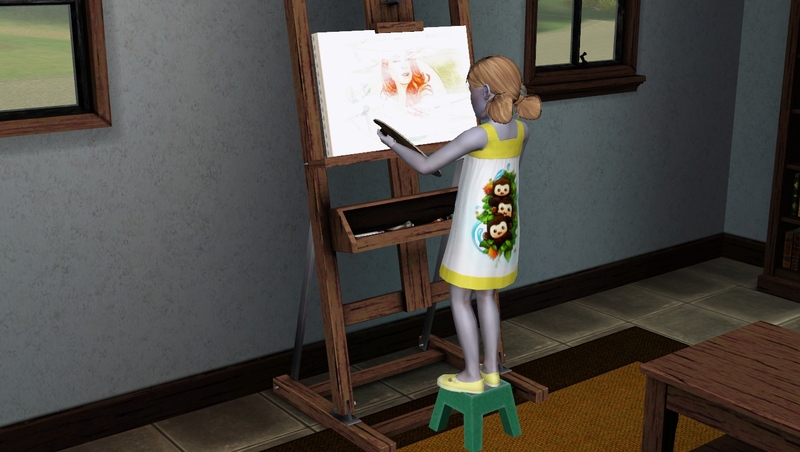 Or was the painting wish just because the easel was there? ...Oh! It looks like another baby is on the way! @JoAnne65 Great pic of the violin-playing fireman. "Nero fiddled while Rome burned?" @JoAnne65 Thank you The peg box and xylophone were already mastered when I let her do what she wanted. I know she could have read books as well but I cheat the read books once I age them up with MC I do let them read if I allow them to be toddlers longer, but I really can't stand how dependent they are. 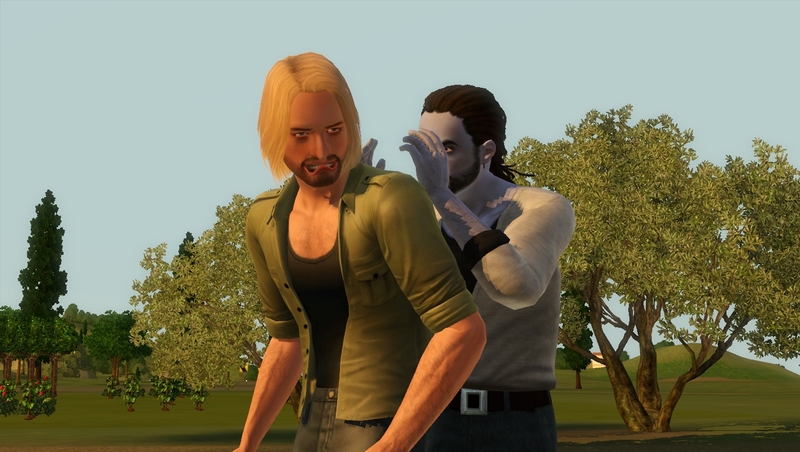 I know some people like challenge in their games but, for me, the game is all about genetics. 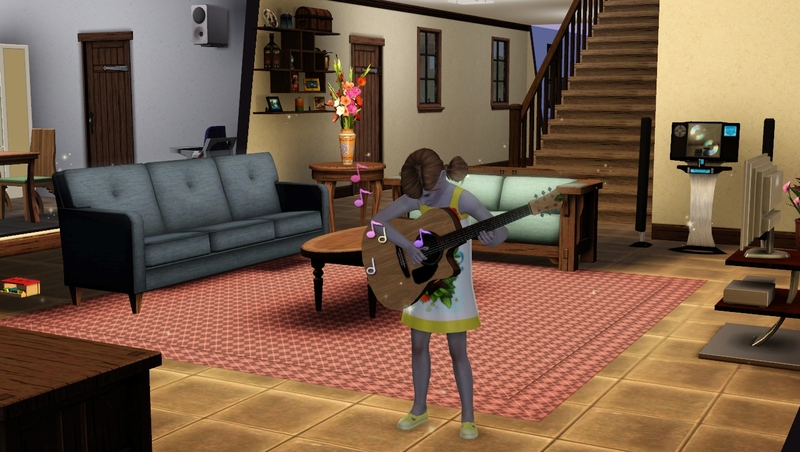 Kids in my other saves used the violin autonomously so I do know that but I was surprised she walked clear across the house to the guitar when she already had a violin in her inventory. Fun pic of the firefighter playing I hope there were no fires to be put out! @lanlyn Thank you I am glad she is not a clone! I rarely get them these days so I was kind of surprised when I thought she was. I believe Jason is just shy of level 9 in gardening. Josh is probably level 7. Josie is a Disciplined Virtuoso. My kids seem to roll wishes to learn the painting skill even if they aren't artistic. 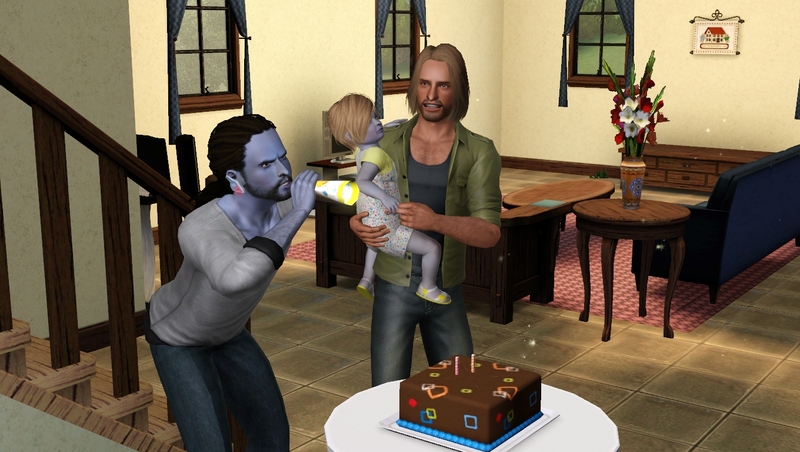 I believe she got Friendly on her child birthday. We share the love for genetics! I so recognize paying attention to the shape of their eyes or mouth to see what parent they will look like. And the mixtures are the best. It’s hard sometimes to determine whose eyes they have when it’s from an opposite gender parent. Did she turn out good looking? Because you feared Jason didn’t have very suitable daughter features genetics wise? And yes, this was in the middle of a fire, which is why the guy is freaking out She just stopped doing her work (probably waiting for my instructions) and thought it was a good idea to calm the man down with some music in the meantime I guess lol. @JoAnne65 I didn't know they could read toddler books as children! Thanks for that Stairs is a real problem! Mind you, if I had stairs I would probably not have wanted my son to use them as a toddler! Sorry for the misunderstanding, they can’t read toddler books (only when they read it to a toddler, which is super cute). They have their own set of books, but I thought they can learn from reading some of those as well... (in doubt now lol). My boy climbed everything as a toddler. We were moving to America when he was 20 months old but I had started having boxes of packed things around the house months before that. I would have to keep an eye on him as he would climb on top of the boxes. He never fell, fortunately, but I did watch him like a hawk! I use female only sliders now so that noses and jaws on females aren't as small in translation but it does make them look more masculine than they did in the past but at least better proportioned. @JoAnne65 Oops, the fireman is a woman! I couldn't tell with all the gear on. I should have said fire fighter. @Mikezumi Ugh, yes, indeed, the noses are a problem. All my females have very thin ones because of this. And square chins/jawlines. I must add I don't really dislike that fortunately.